CNC machines are becoming more popular among hobbyists and DIYers as the price of them continues to drop and they become more affordable. Yet one thing that still keeps some users at bay is the amount of space a CNC takes up. 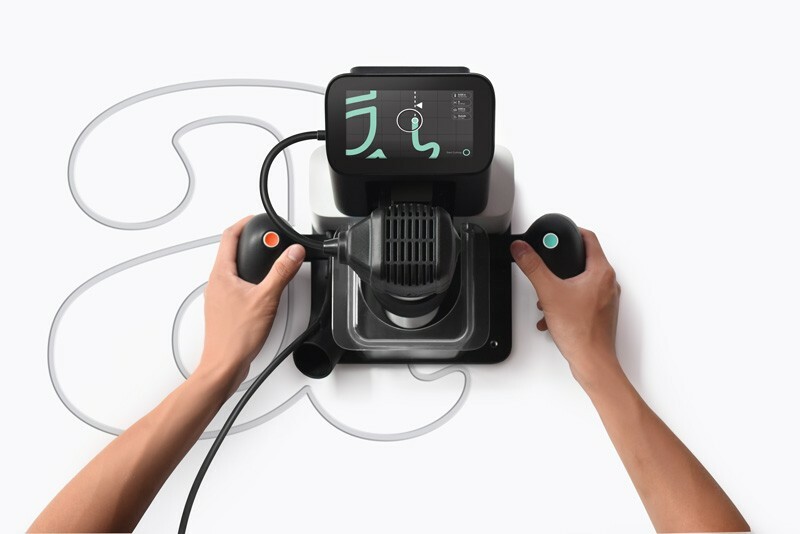 Shaper plans to solve that problem with their Origin handheld CNC. Shaper does away with the CNC table altogether and instead relies on the user to provide directional movements along the x and Y axis. Like playing a video game, users follow a line that is drawn on screen to correspond with what the onboard cameras sees. You might think a system like this is inaccurate, but the Shaper automatically compensates for errors in movement and provides accuracy to within 1/100th of an inch. That is pretty impressive if you ask me. Setup consists of applying special ShaperTape to the work surface, which allows the Origin to map the area with the onboard camera. It then uses the images to make the map that the computer follows to always know where it is. Using this method, the Shaper Origin has almost no cutting size limitation. I say almost, because I don't know if the computer would freeze if a map size got too big. Even so, for really large projects, I would think you could split it up into multiple projects. The disadvantage to a system like this is that there needs to be a user manning the machine at all times; so large projects will require a lot of man-hours. Users can add their designs to the Shaper via USB stick or wirelessly, they can also pull from the collection of designs on the ShaperHub website, where I imagine the community will be able to share their own unique designs. The Shaper Origin has been in development for a while now, and you can see videos of it in action doing various tasks. Today the Shaper went up for pre-order at a reduced cost of up to $800 off of the $2099 retail price. If you order, you will have to be patient, because orders will not ship out for a year. I should mention that the Shaper Origin is similar to the HandiBot, though I believe the HandiBot has a workpiece size limitation.